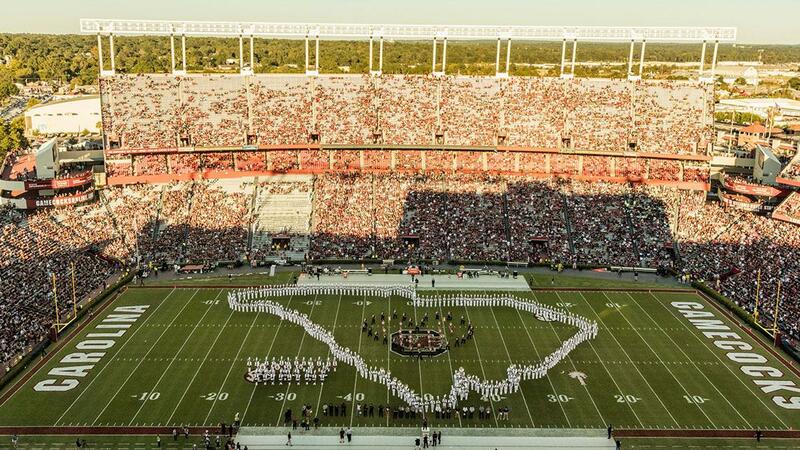 The USC Athletic Bands comprise the largest, most visible, and most dynamic student organizations on campus. We have a place for you in the Carolina Band or our pep bands, whether you are an instrumentalist, colorguard member or dancer. Here's how to do it in four easy steps. 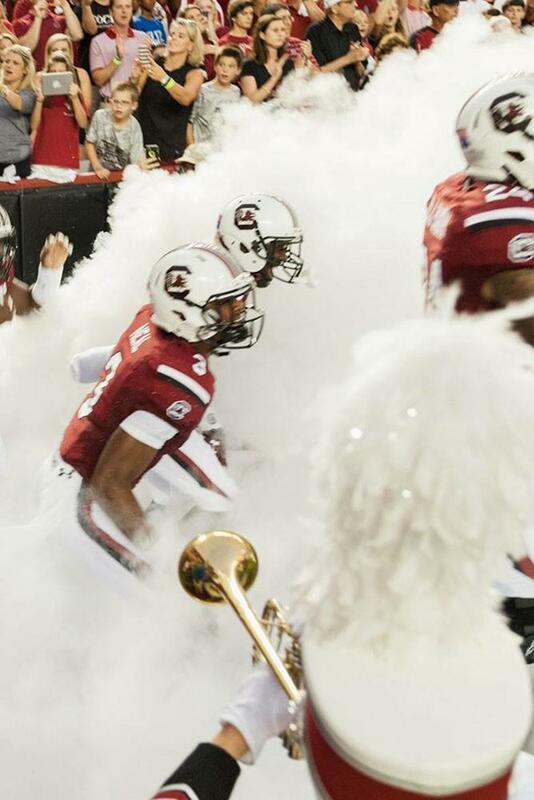 The 360-member “Mighty Sound of the Southeast” performs in front of tens of thousands of Gamecock fans each week and is the largest and most visible student organization on campus. Members benefit from being part of a dynamic, dedicated, and supportive group of students and staff with common interests. 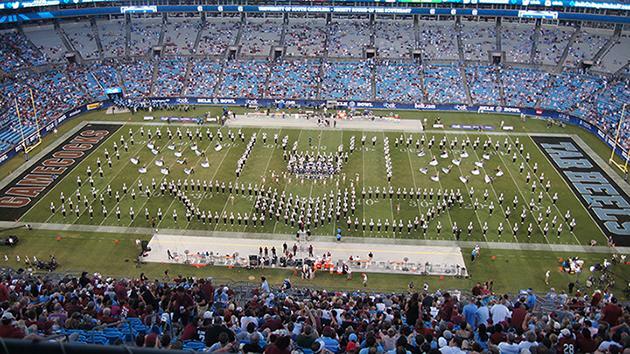 Carolina Band members come from across the country, across the university, and most members are not music majors. 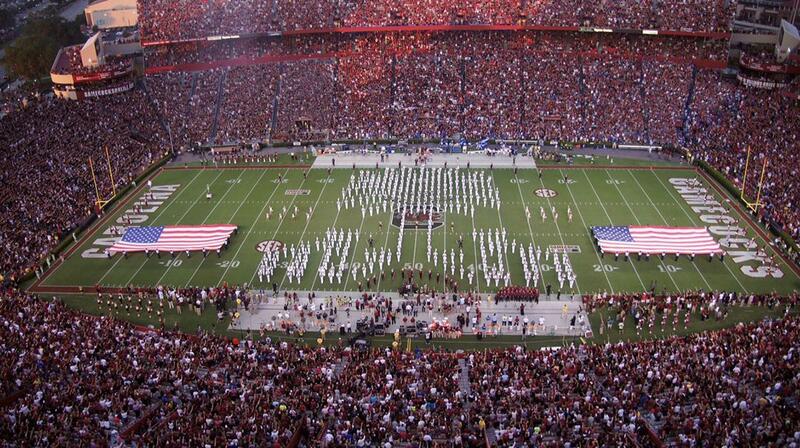 All members of the Carolina Band receive a scholarship for marching in the band. The Carolina Band Drumline is an elite and integral musical component of the Carolina Band that exemplifies the musicianship, spirit and intensity of the Carolina Band. Members are selected through a highly competitive audition process in the spring before each football season. The Carolina Colorguard is an elite and integral visual component of the Carolina Band that exemplifies the spirit and intensity of the Carolina Band. The Carolina Colorguard rehearses daily throughout the fall season, and members are selected through a competitive audition process in the spring before each football season. 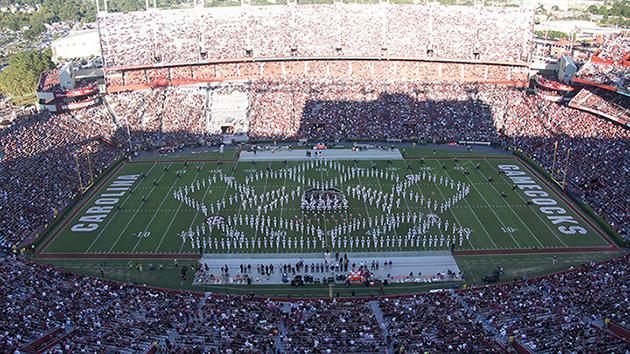 The 18-member Carolina Coquettes dance team is an elite and integral visual component of the Carolina Band and a prominent organization on the USC campus. The Carolina Coquettes rehearse daily throughout the fall season and members are selected through a highly competitive audition process in the spring before each football season. The Carolina Band Feature Twirlers have a long-standing tradition of excellence that continues to flourish today. Feature Twirlers at USC represent some of the most decorated twirlers in the country and are selected through a competitive audition process. Carolina Band Feature Twirlers receive a scholarship for performing with the Carolina Band, pending acceptance into a degree program at USC. The Carolina Basketball Band cheers on the men’s and women’s basketball teams and frequently performs for other events on the USC campus and in the community. Get courtside seats for every home game and travel to SEC and NCAA post-season tournaments! 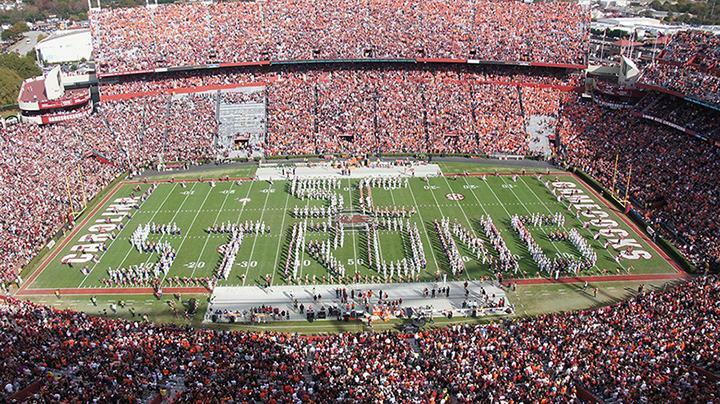 The “Mighty Sound of the Southeast” performs in front of tens of thousands of Gamecock fans each week and is the largest and most visible student organization on campus. Please click here for Carolina Band Member's Area Access.